While marketing automation has been counted among the top marketing trends for the past several years … While it has been established as a modern, effective, useful technology that has been successful and influential in non-education markets … While it has come to facilitate much of how business is conducted in the modern world … There still seems to be some reticence to it. Marketing and technology firms continue to conduct more webinars and other instructional programs on marketing automation than most other topics. There’s definitely a lot to think about with this technology. 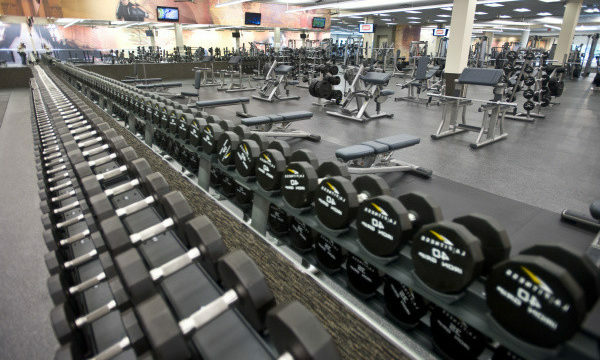 I like to explain marketing automation as like walking into one of the massive gym chains. There are hundreds of pieces of equipment, dozens of classes and highly specialized physical trainers. All of them will help you get or stay fit. But how do you combine them? What routine works best for you? Marketing automation is similar — hundreds of options to customize a solution that’s right for your brand. Better yet, your brand is your customer’s, or prospective student’s, experience. So it allows you to create a customized experience that your “end user” wants. With marketing automation you can learn from your students’ journeys — create campaigns that resonate and create a deep loyalty for your brand. And these outlined routines can work for numerous different audiences — all at the same time! All in this giant gym. For example, Capture Higher Ed works with a large private university in the Northeast. We recently moved from using marketing automation for only their undergraduate programs to their graduate, professional and online programs as well. Their gym just got twice as big. Instead of identifying routines for 40 people per day, we’re now identifying routines for 300 or 400 people per day! According to Joe Pulluzi from the Content Marketing World, marketers across the board only use about 10 percent of their marketing automation capabilities. To support that overall thought, according to McKinsey & Co., 83 percent of marketers identify that the ability to make data-guided decisions is one of the most important capabilities, but only 10 percent believe they are effective at feeding insights about customer behaviors back into the organization to improve performance. This is something Capture strives to do for its partners, tracking more than 25 million prospects and their behaviors and trying to feed what’s relevant back. We even have a marketing automation playbook for our partners to help craft a “workout routine” (is the gym metaphor becoming labored?) for our partner’s use of marketing automation, so they can get the best results possible out of the software. The face of marketing is here and it consists of artificial intelligence, big data and marketing automation. Sure, it might look like Instagram photos and Facebook ads, but it’s all about the predictive data flowing underneath. Gone are the days of excruciating negotiations for 2-for-1 radio spots and precise outdoor placements. (Oh yeah, I did my traffic duties tracking and labeling more VHS tapes than I care to admit.) While not overly safe, there’s probably a better chance your target audience is looking at their phone when they drive by that billboard outside. Marketing automation is the way to more deeply connect your brand, your mission, and your people to your potential customer. And really, isn’t building relationships what it’s all about?